Progesterone, originally considered as a hormone involved only in reproductive functions, exerts pleiotropic effects throughout the central and peripheral nervous systems. As early as 10 years ago, its role in myelination had been demonstrated in the regenerating peripheral nerve and in cocultures of neurons and Schwann cells. More recently, it has been shown that progesterone also accelerates myelin formation by oligodendrocytes in cerebellar organotypic cultures. Attention to the neuroprotective effects of progesterone was attracted at the end of the 1980s by the observation that female rats with high endogenous levels of progesterone recover better from traumatic brain injury and have less edema and secondary neuron loss than males. The protective effects of progesterone have been mainly studied in lesion models. However, progesterone also protects neurons from neurodegeneration, as has been documented in the Wobbler mouse, a murine model of spinal cord motoneuron degeneration. These findings have significant clinical implications, but an efficient therapeutic use of progestins for treating lesions or diseases of the nervous system would require a better understanding of their mechanisms of action in neurons and glial cells. We have indeed only a rudimentary understanding of the molecular mechanisms by which progestins exert their pleiotropic effects in the brain. Their study should provide a substantial basis for the design of progesterone analogs with much safer and selective actions. This review will summarize our current knowledge of the multiple mechanisms of progesterone action: the role of different progesterone receptor isoforms, the importance of coregulator proteins in modulating their transcriptional activities, and novel progesterone actions mediated by membrane receptors. 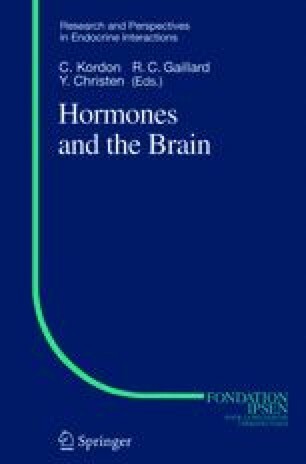 The detailed account of the multiple mechanisms of progesterone action is followed by a discussion of recent studies, documenting the promyelinating and neuroprotective effects of progestins and offepristone (RU486), known as an antiprogestin or selective progesterone receptor modulator (SPRM). Their actions involve both classical and novel mechanisms.